MOSCOW (Itar-Tass) - RIA Novosti. Holding "Russian Helicopters" handed over two Indonesia combat helicopters Mi-35P after major repairs, told reporters on Wednesday the press service of the company. The contract for the overhaul of these machines was signed in September 2016. 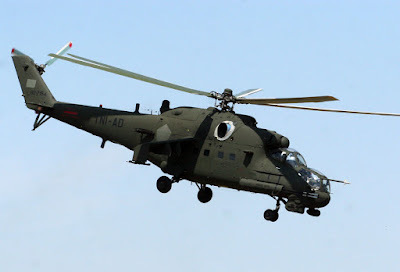 "Specialists from Indonesia visited the JSC "150 ARZ" holding company "Russian Helicopters" for the acceptance of two Mi-35P helicopters .The representatives of the Indonesian delegation inspected the flight tests, inspected the helicopters and signed the necessary documents," the report said. The first combat helicopters Mi-35P to Indonesia were delivered in September 2003. As part of the intergovernmental agreement, in September 2007, Indonesia ordered three more Mi-35P helicopters that were delivered in September 2010. The official ceremony of their transfer to the Indonesian Army took place at Pondok Cabe Army Ground Base in Jakarta on October 20 of the same year. 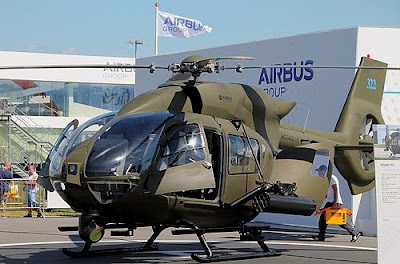 The updated version differs from the standard Mi-35 by the presence of a bow moving cannon with a twin 23mm cannon, multifunctional indicators, including the pilot's windshield. 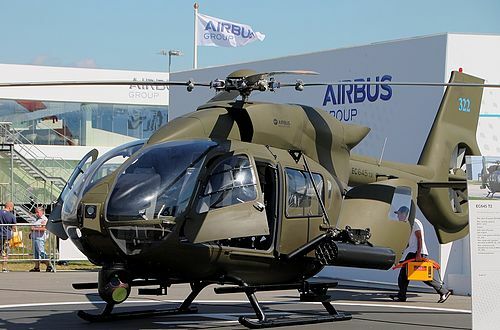 In addition, the helicopter is equipped with a gyrostabilized optoelectronic system, a video registration system, modern communications and navigation complexes, and a digital autopilot. The Mi-35P helicopter was built on the basis of the Mi-24P, the main period of its release fell on 1981-1989. In total, Mi-24P/Mi-35P helicopters were used by about 70 countries. Helicopters of this class continue to carry combat duty in the Armed Forces of the Russian Federation abroad - in Syria, Tajikistan and Transnistria (Moldova). Daewoo Shipbuilding & Marine Engineering Co., a major shipyard in South Korea, said Thursday that it has clinched a 30 billion-won ($26.7 million) deal from Indonesia's Navy to provide maintenance and upgrade services for one of its submarines. Under the deal, Daewoo Shipbuilding will work with Indonesia's largest shipyard, PT. 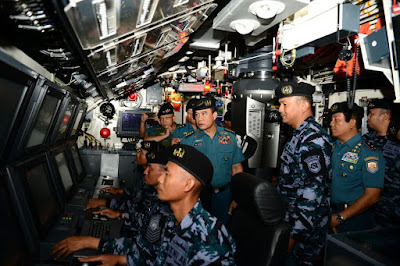 PAL, on the maintenance of a submarine operated by the Indonesia's Navy by 2020. 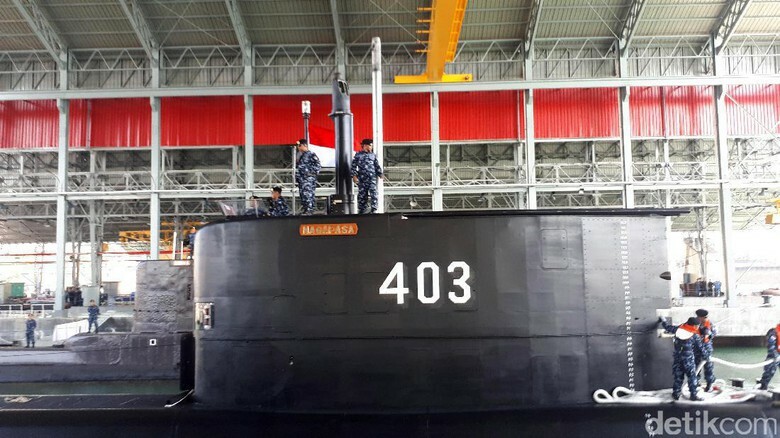 Early this month, Daewoo Shipbuilding handed over a 1,400-ton diesel-electric submarine to the Indonesian Navy, becoming the first South Korean company to export a submarine. The boat is the first of three submarines commissioned by the Southeast Asian country under a 2011 deal worth $1.1 billion. The second submarine is under construction with the plan to be completed within the year, and the third one will be assembled by 2018. Early this week, Daewoo Shipbuilding also won a 215 billion-won deal to supply key parts for a submarine built by its local rival Hyundai Heavy Industries Co. 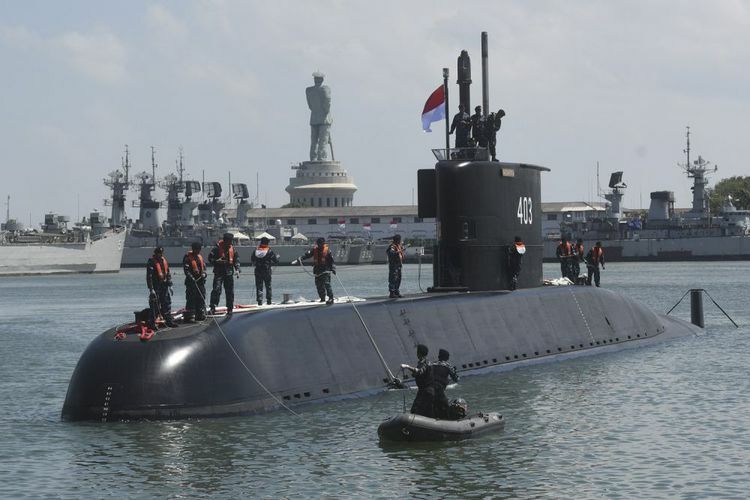 Since 1987, Daewoo Shipbuilding has secured deals to build 17 submarines, including the three placed by Indonesia. Daewoo Shipbuilding has delivered 12 submarines so far, with five under construction. 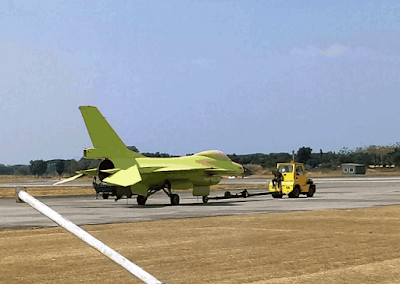 Elbit Systems Ltd. (NASDAQ: ESLT and TASE: ESLT) ('Elbit Systems') announced today that it was awarded an approximately $93 million contract from an Asia-Pacific country to upgrade its F-5 aircraft fleet. The contract will be performed over a three-year period. 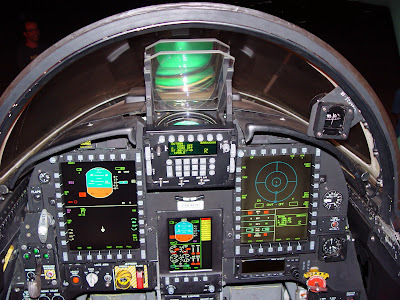 Under the upgrade contract, Elbit Systems will supply the F-5 with cutting-edge systems, including Head-Up Displays (HUDs), an advanced cockpit, radars, weapon delivery and navigation systems, as well as DASH IV Head Mounted Systems. 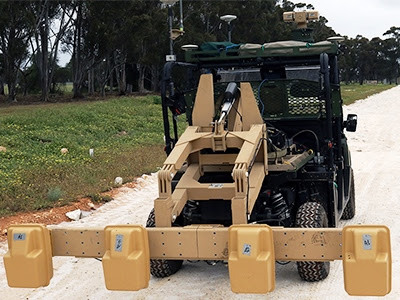 Elbit Systems is a world leader in fixed-wing aircraft and helicopter upgrade programs, integrating advanced weapons, communications, navigation, electro-optical and EW systems to provide the advanced net-centric capabilities vital for today's fast-paced missions. 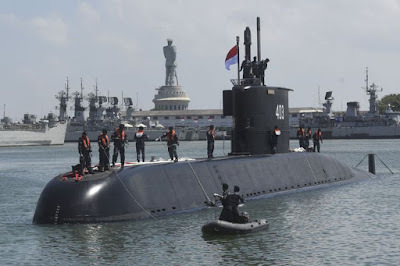 Shipmaker PT PAL Indonesia has expressed confidence that it will be able to deliver a third submarine ordered by the Indonesian Navy on time. The company has reasons to be upbeat: Daewoo Shipbuilding and Marine Engineering Co (DSME) has trained more than 200 Indonesians in South Korea as part of a transfer-of-technology agreement between the two companies. 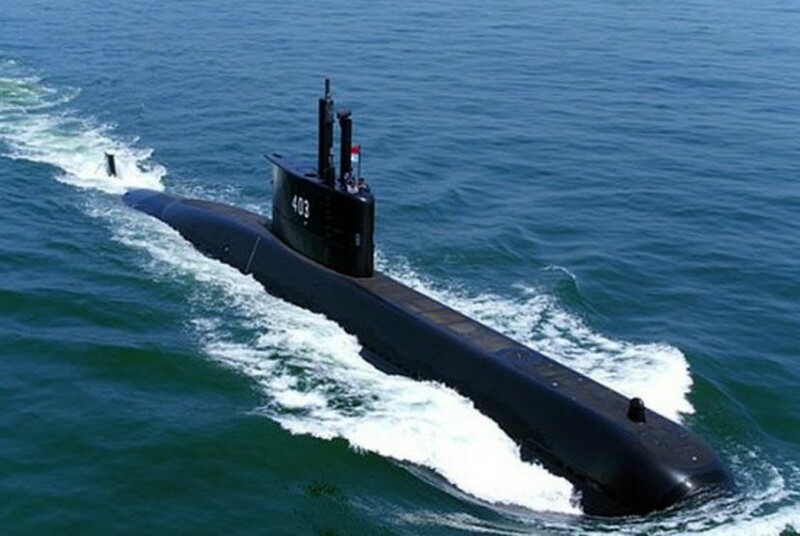 PT PAL, with the assistance of DSME, is expected to deliver the third submarine in late 2018. 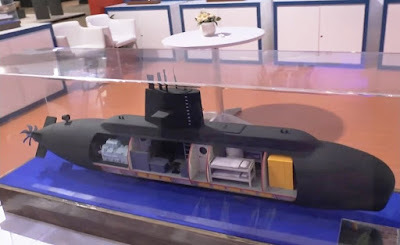 The state-owned shipmaker’s president director, Budiman Saleh, conceded that when working on the first and second Changbogo Class submarines in South Korea, the company made a number of mistakes. However, none have been made during the building of the third submarine. 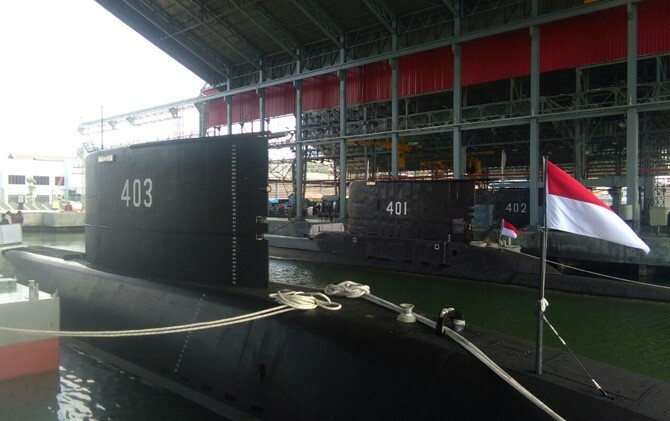 “This is a historic moment for us, PT PAL, because according to DSME’s supervision, we have made zero mistakes when working on the third submarine in Surabaya,” Budiman said on the sidelines of a ceremony for the third submarines which was held at the grand assembly area of the company’s warship division in Surabaya on Monday. He added that with the expertise of its employees, PT PAL would be able to independently master submarine-building technology, the highest level of technology in the shipyard industry. 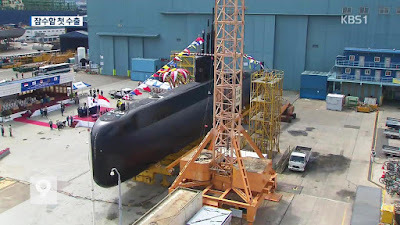 The company is currently working on joining and integrating different sections made separately in DSME’s factory in South Korea into the single hull of a submarine. DSME won the bid for building three submarines for the Indone- sian Navy. It invited PT PAL Indonesia to take part in the project through a transfer-of-technology scheme. 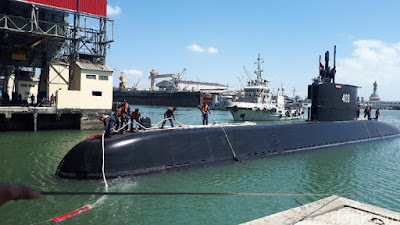 The government has previously disbursed Rp 1.5 trillion (US$112.4 million) through a state capital injection (PMN) scheme that PT PAL used to develop a submarine factory and purchase various supporting equipment needed in the process of joining and integrating the third submarine. The company uses a five-section joining technique starting from the stern to the bow of the submarine. 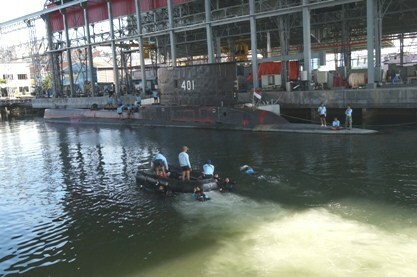 If the process succeeds, PT PAL Indonesia will be able to build the fourth, fifth and sixth submarines independently. “We are targeting to produce the fourth, fifth and sixth submarines entirely in PAL,” Budiman said. 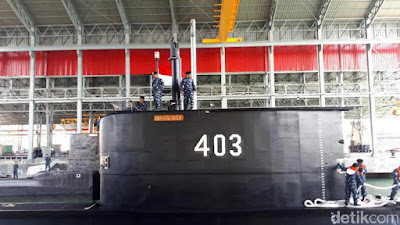 In a related development, the Navy chief of staff Adm. Ade Supandi led the ceremony to welcome the arrival of KRI Nagapasa-403 submarine at Ujung Koarmatim pier, Surabaya, from South Korea, after being officially launched by Defense Minister Ryamizard Ryacudu earlier this month. The KRI Nagapasa-403, according to Ade, was the first of the three submarines built by PT Pal and DSME in South Korea and Indonesia. 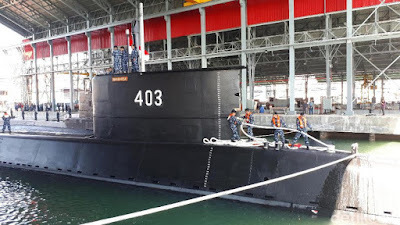 “The KRI Nagapasa-403 can produce a deterrent effect in the region, improve the Navy’s performance in conducting its tasks and actively strengthen Indonesia’s defense,” Ade said. 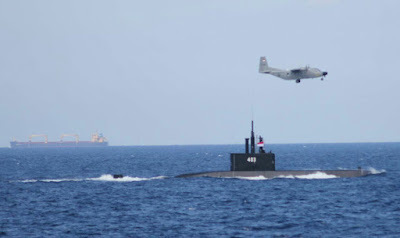 The submarine, which was commanded by Lt. Col. Harry Setyawan, traveled from South Korea with 41 crew members on board. It took 16 days for the 61.3-meter vessel to arrive in Indonesia. With an underwater speed of about 21 knots, the submarine can travel for more than 50 days and carry 40 crew members. It is equipped with eight torpedo tubes. The KRI Nagapasa-403 boasts the latest combat system, an enhanced operating system, nonhull penetrating mast, comfortable accommodation, as well as torpedo launchers capable of launching 533 mm torpedoes and anti-surface ship missiles. Dalam barisan kenderaan tempur TDM ini adalah AV8 Gempita versi peninjauan. 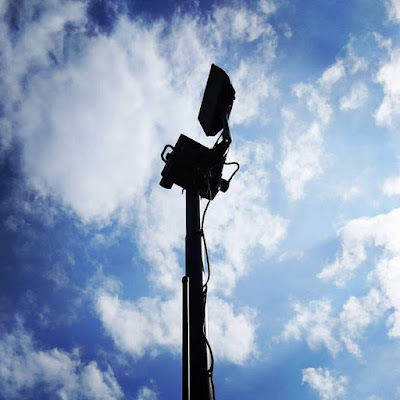 Ia dilengkapi dengan sistem penderia Vingtaqs II yang turut mengabungkan radar pemantauan medan jenis SQUIRE. Sistem penderia Vingtaqs II membolehkan pemerhati untuk menentukan koordinat sasaran dengan tepat daripada jarak jauh. Ia juga direka untuk mampu berfungsi secara kendiri atau diintegrasikan dengan penderia- penderia tambahan yang lain termasuklah penanda sasaran laser yang membolehkannya untuk menyokong operasi FAC. Selain daripada itu, ia memiliki keupayaan modular yang tinggi dan boleh dikonfigurasikan dengan mudah untuk memenuhi keperluan spesifik penggunanya. Malang, PW - Pesawat Hercules C-130 terbaru tiba di Pangkalan Udara Abdulrachman Saleh di Malang pada Senin siang, 24 Agustus 2017. 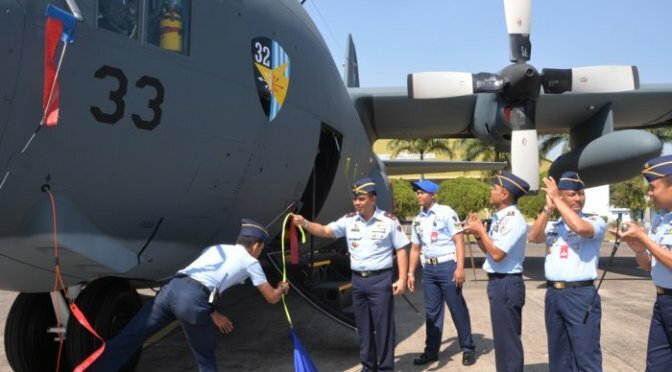 Kedatangan pesawat angkut berat C-130 menambah jumlah Hercules yang dipunyai TNI Angkatan Udara yang menghuni Skadron Udara 32 Wing 2 Lanud Abdulrachman Saleh (28/8). Kehadiran pesawat tersebut disambut langsung oleh Komandan Lanud Abd Saleh Marsma TNI Julexi Tambayong dan para pejabat Lanud Abdulrachman Saleh di lapangan apel Skadron Udara 32 dengan acara penyambutan kedatangan A-1333. Keunggulan C-130 antara lain terbukti dari kemampuan operasi mulai dari dukungan Logistik, Pasukan, kemanusian dan dukungan Operasi lainnya. As part of the development contract Oxley will be supplying a ground-breaking external LED lighting system which includes the following; Landing light, Taxi light, Refuelling lights, Formation lights, Wing tip lights and an intelligent lighting controller. The system provides complete integration into the pilot’s multi-functional display. The suite will be designed specifically for the new jets and the lights will outperform existing technology to deliver high performance and reliability. 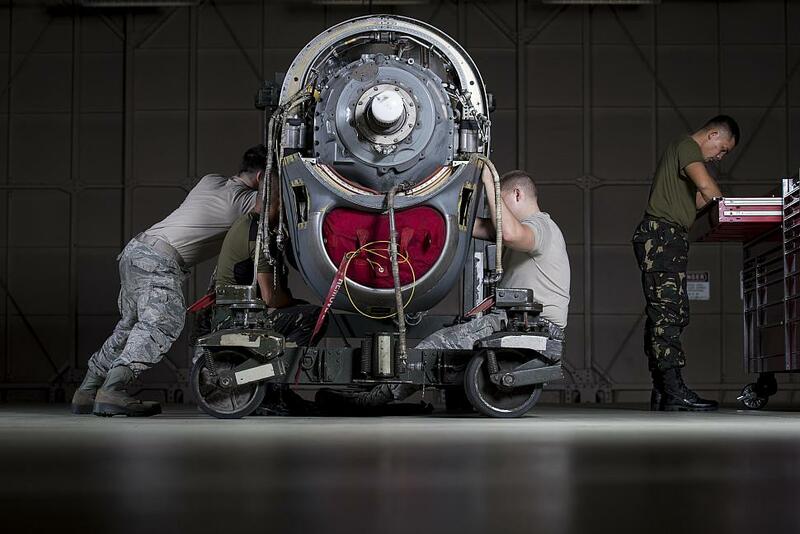 Lockheed Martin Aeronautics Co., Fort Worth, Texas has been awarded a $47,819,931 requirements contract for engineering and technical services in support of the F-16 aircraft requirements. Contractor engineering and technical services will be provided to elevate the technical expertise of system maintainers. 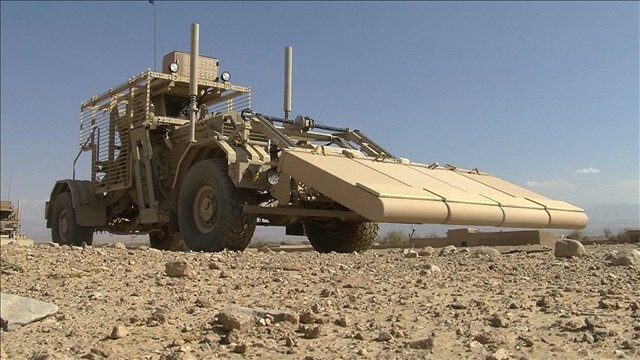 Work will be performed at Hill Air Force Base, Utah; Toledo, Ohio; Tucson, Arizona; McEntire Joint National Guard Base, South Carolina; and in 12 countries, Bahrain, Pakistan, Chile, Jordan, Turkey, Morocco, Taiwan, Oman, Egypt, Iraq, Thailand, and Indonesia. Work is expected to be completed by June 30, 2020. This award is the result of a sole-source acquisition. Fiscal 2017 foreign military sales; operation and maintenance funds in the amount of $18,214,506 are being obligated at time of award. Air Force Life Cycle Management Center, Wright-Patterson Air Force Base, Ohio, is the contracting activity (FA8604-17-D-8002). "Saat ini konsorsium tersebut sedang dijajaki dan akan dibentuk dalam waktu dekat," katanya di sela Seminar BPPT-Saab "Meraih Pertahanan yang Tangguh melalui Teknologi Pertahanan Bawah Air" di Jakarta, Selasa. Konsorsium yang akan melibatkan BPPT, TNI, PT PAL, ITS, ITB, PT Risea, dan lembaga lain itu akan mengembangkan industri pertahanan bawah laut guna membangun kemandirian bangsa. 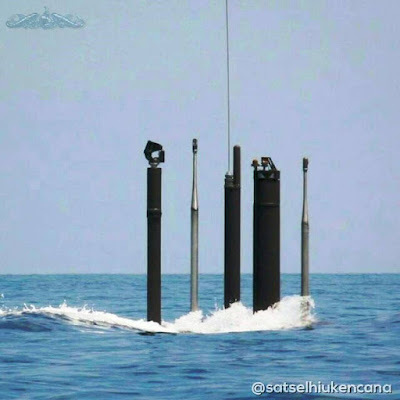 Prototipe kapal selam mini tersebut rencananya dibangun dengan dimensi 32 meter x 3 meter yang mampu menyelam di kedalaman 150 meter di bawah laut selama 2-3 hari dengan kapasitas 11 awak. "Ini hanya sasaran antara, tujuan berikutnya adalah mengembangkan kapal selam ukuran besar jenis U209. 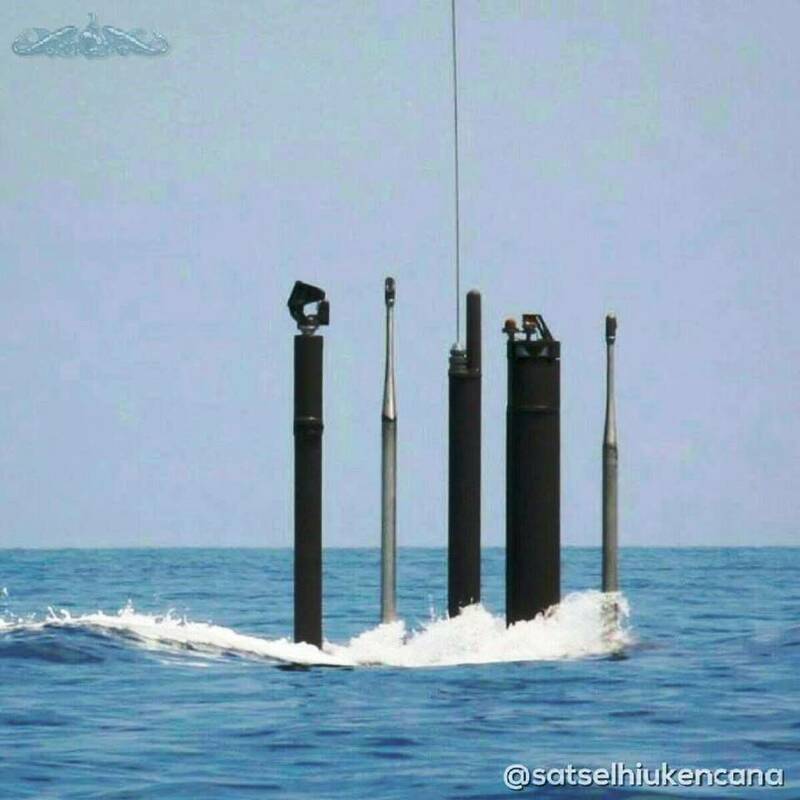 Penguasaan teknologi bawah laut sangat penting untuk negara maritim sehingga harus dimulai dari sekarang," kata Wahyu. Untuk mengembangkan kapal selam ini, BPPT mulai menjajaki kerja sama dengan Saab, industri pertahanan Swedia yang bersedia melakukan alih teknologi pertahanan bawah air. Kepala Bagian Program dan Anggaran Pusat Teknologi Industri Pertahanan dan Keamanan BPPT Dr Fadilah Hasim mengatakan, Indonesia memiliki potensi besar untuk menguasai teknologi bawah laut. BPPT, ia menjelaskan, juga memiliki berbagai laboratorium yang mendukung alih teknologi bawah laut seperti Balai Teknologi Hidrodinamika, Balai Besar Teknologi Aerodinamika, Aeroelastika dan Aeroakustika, Balai Besar Kekuatan Struktur, Balai Teknologi Mesin Perkakas Produksi dan Otomasi, Balai Teknologi Polimer dan Balai Teknologi Termodinamika Motor Propulsi. "Negara yang mengembangkan teknologi kapal selam tidak banyak di dunia, misalnya AS, Rusia, Perancis, Jepang, dan Korea Selatan dan cukup sulit untuk melakukan alih teknologi, khususnya negara anggota NATO. Sedangkan Swedia karena bukan anggota NATO, sehingga lebih terbuka dalam alih teknologi," katanya. Manajer Teknologi Saab Kockums Swedia, Roger Berg, mengatakan perusahaannya telah 100 tahun mendesain dan memproduksi kapal angkatan laut dan telah 100 tahun mengembangkan kapal selam serta sedang mengembangkan program kapal selam modern, A26 Kockum Class. Teknologi kapal selam terbaru yang dikembangkan Swedia adalah kemampuan tinggal di kedalaman laut dalam waktu lama dengan nyaman, kemampuan dalam menghadapi tekanan dan kemampuan mendeteksi ancaman serta penggunaan energi ramah lingkungan, kata Berg. Komandan Lanud Halim Perdanakusuma, Marsma TNI Fadjar Prasetyo ST.,M.P.P. 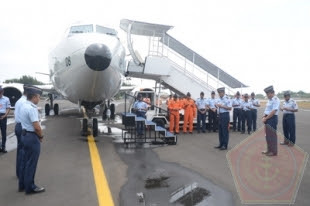 memimpin penyambutan kedatangan pesawat baru Boeing 737-400 dengan nomor registrasi A-7308 di Pangkalan TNI AU Halim Perdanakusuma, Jakarta. Acara dilaksanankan dengan ceremonial pelepasan stiker tanda nomor registrasi dan penyiraman air kendi ke roda pesawat sebagai tradisi agar dalam pelaksanakan tugasnya nanti baik crew dan pesawatnya senantiasa diberi keselamatan. 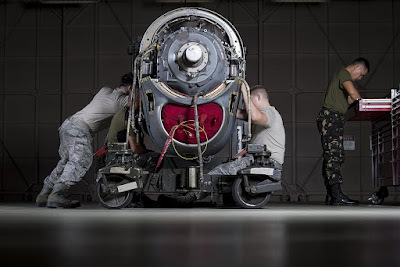 Different uniforms, different languages, it made no difference as members of the Philippine Air Force and U.S. Air Force learned how to tear down and build up a C-130H Hercules engine during a training course conducted by the 373rd Training Squadron Detachment 15. Recently, the first class consisting of students from the Philippine and U.S. Air Force C-130H maintainers was conducted at the 374th Propulsion Flight hanger at Yokota Air Base, Japan. The advanced training for C-130H Hercules maintainers in the Endo-Asia Pacific Region is done by a few members of the 373 TRS Det. 15. The instructors who teach the classes have different specialties in areas such as propulsion mechanics, avionics and electronics. The course is an intermediate maintenance course where students learn how to take apart main engine components and put them back together. 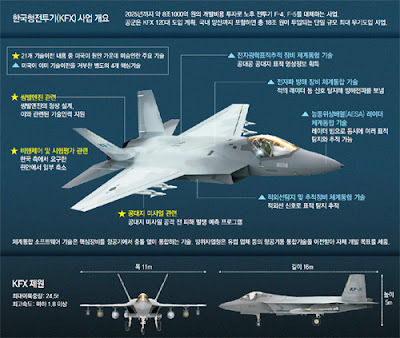 According to U.S. Air Force Master Sgt. Jacob Carmen, 373 TRS Det. 15 flight chief, a large part of the responsibility the U.S. Pacific Air Forces is to build and maintain a working relationship with the nations in the Pacific Region. This training strengthens bilateral relationships and interoperability between the two forces and sets a foundation for future engagements. For the students in the course it’s a unique experience. The Philippine Air Force students, have learned how to work on the C-130H engine and the various practices used by U.S. Air Force maintainers to ensure minimal error and highest efficiency standards. 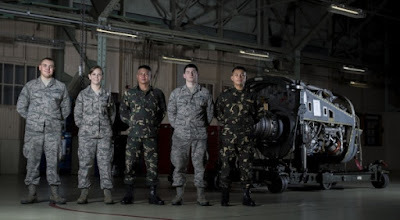 “We will be taking what we learn here, the skills, the equipment, the practices and the organization of the shop and giving our supervision recommendations on how we can better our shop back home,” Philippine Air Force Airman 1st Class Alvin General, 220th Airlift Wing maintenance specialist. According to Carmen through the professionalism and respect between the students to accomplish their common goal, they will be able to build a foundation of cooperation and friendship. Land 121 Phase 4 Project Director COL John McLean said that the ICS reflects the Australian Army's requirement for a more integrated approach to C4I on vehicles that realises benefits in the areas of useability, space, weight and power. Bisnis.com, SURABAYA – Perusahaan milik negara sektor perkapalan PT PAL Indonesia menargetkan proses konstruksi kapal milik TNI Angkatan Laut dapat mencapai 45% pada akhir tahun ini. Saat ini, proses pengerjaan telah mencapai 21,7%. 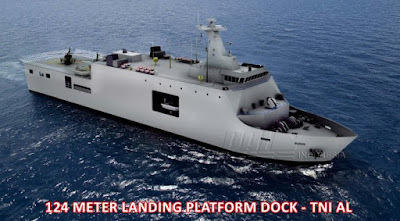 Saat proses peletakan lunas (keel laying) Landing Platform Dock (LPD) atau kapal perang amfibi di Surabaya, PT PAL telah menyelesaikan proses pengerjaan 13 blok sekaligus dengan beban sebesar 437 ton. 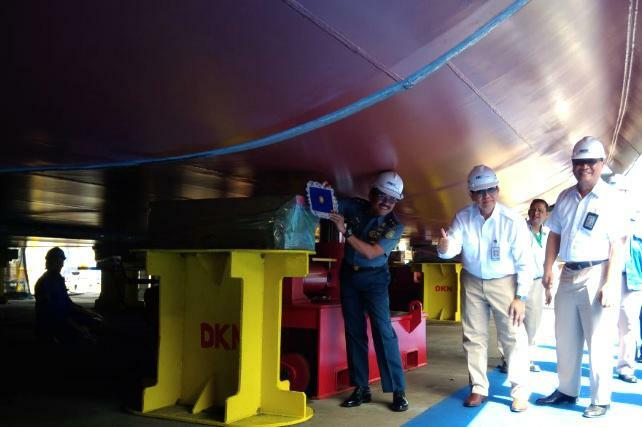 Capaian itu di atas ketentuan minimal proses keel laying yang ditetapkan dalam regulasi Marpol/SOLAS yang sebesar 50 ton atau setara 1—2 blok. 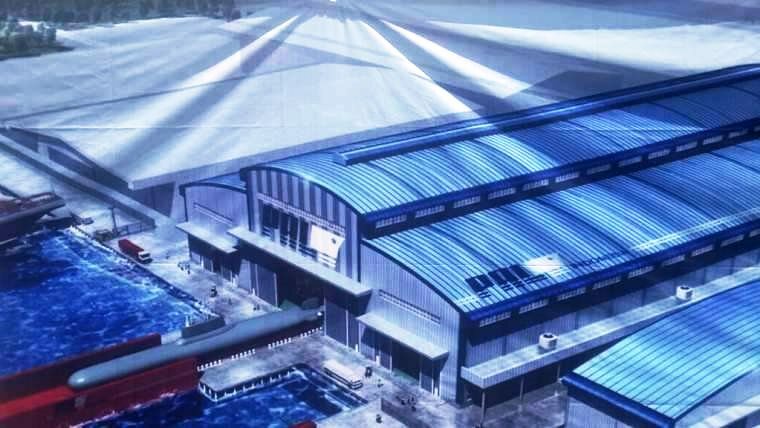 Direktur Utama PT PAL Budiman Saleh menuturkan perusahaan pelat merah tersebut melakukan proses keel laying lebih cepat empat bulan dari rencana awal yaitu pada 28 Desember 2017. Dia menyebut PAL berkomitmen menyelesaikan proyek multiyears tersebut secara tepat waktu. “Melalui pendekatan strategi pembangunan terbaru, PT PAL dapat mempercepat proses konstruksi kapal LPD dari yang sebelumnya membutuhkan waktu 5—6 tahun, menjadi hanya 2—3 tahun,” ungkap Budiman dalam konferensi pers di area perakitan kapal PT PAL di Surabaya, Senin (28/8/2017). 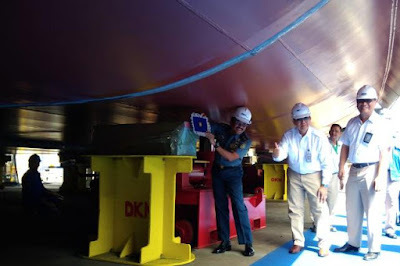 Budiman menjelaskan aktivitas keel laying merupakan momentum penting dalam suatu konstruksi pembuatan kapal sehingga apabila proses tersebut dapat dipercepat, penyelesaian kapal secara utuh pun diharapkan lebih cepat dari target. Adapun, kontrak pengadaan kapal LDP Ke-3 TNI AL tersebut ditandatangani pada 11 Januari 2017 dan proses first steel cutting dimulai pada 28 Juni 2017. Dengan proyeksi masa pengerjaan selama 23 bulan, pengiriman (delivery) kapal ditargetkan dapat dilaksanakan pada 28 Desember 2018. 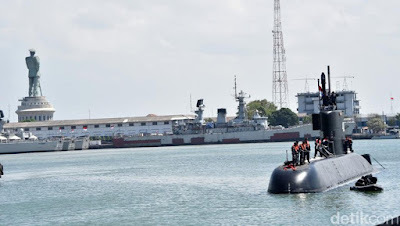 Aslog Kasal Laksamana Muda TNI AL, Mulyadi mengungkapkan TNI AL telah ketiga kalinya melakukan pemesanan kapal kepada PT PAL. Sejauh ini, pembuatan kapal selalu tepat waktu, sehingga proses pembuatan kapal ketiga pun diharapkan tidak molor. “Nilai pengadaan kapal ini per unitnya sebesar Rp736 miliar. Sebenarnya TNI AL berpotensi memesan lebih banyak namun anggarannya masih terbatas, tapi mudah-mudahan bisa rutin. Percepatan pengerjaan ini merupakan kabar baik bagi kami,” jelas Mulyadi. Dia menuturkan TNI AL memenuhi amanah pemerintah untuk memberikan kesempatan pada peruahaan dalam negeri untuk terlibat membangun proyek-proyek Alat Utama Sistem Pertahanan (Alutsista). Selain untuk operasional TNI AL kapal LPD juga dapat untuk logistik barang dan kegiatan-kegiatan menjalankan misi kemanusiaan. 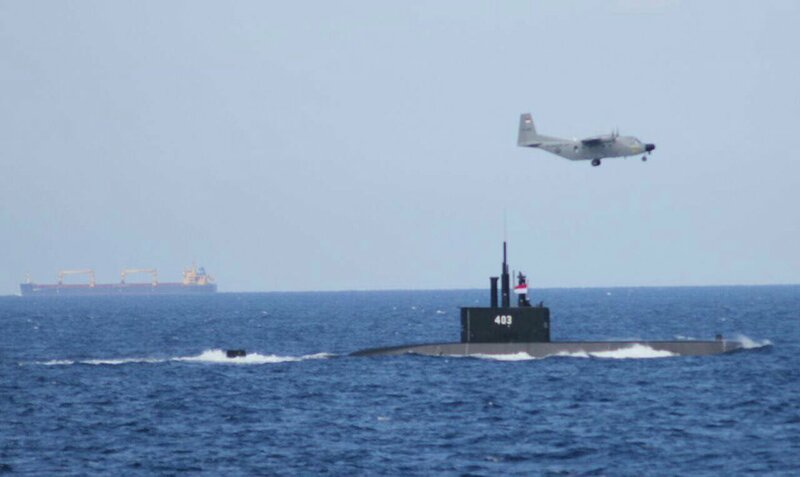 Menurut Mulyadi, TNI AL juga memiliki 15 kapal tua sehingga diperlukan pembaruan kapal. 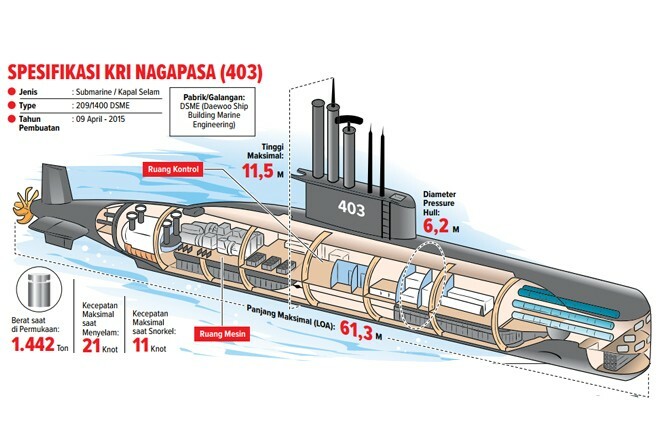 Dari dokumen spesifikasi kapal, dijelaskan PT PAL saat ini sedang menyelesaikan LPD dengan panang 124 meter dan lebar 21,8 meter. Total beban full load sebesar 7.200 ton dan kecepatan jelajah sebesar 14 Knot. Surabaya - Kapal selam pesanan TNI AL dari Korea Selatan (Korsel) tiba juga ke Indonesia. Kapal yang berlayar sejak 15 hari lalu itu tiba di Dermaga Kapal Selam Koarmatim, Ujung, Surabaya, dan disambut KASAL Laksamana TNI Ade Supandi. "Ini sudah 15 hari di laut, dari Korsel langsung ke Surabaya," ujar KASAL Laksamana TNI Ade Supandi kepada wartawan seusai meninjau isi kapal selam di Dermaga Kapal Selam Koarmatim, Ujung, Surabaya, Senin (28/8/2017). Ade mengatakan kapal selam pesanan dari Korsel ini merupakan pemenuhan kebutuhan alutsista. Indonesia memesan tiga kapal selam ke Korsel dengan kesepakatan transfer teknologi. Kapal selam pertama dan kedua dibangun di galangan Daewoo Ship Build Marine Engineering (DMSE) Korsel, sementara kapal selam ketiga dibangun di PT PAL yang bekerjasama dengan DSME Korsel. "Kontrak tiga kapal selam ini sejak 2011 dan efektif 2013. Memang cukup lama untuk membangun kapal selama, konstruksinya saja 4 tahun," kata Ade. Kapal selam yang tiba di Surabaya ini merupakan kapal pertama yang sudah selesai. Kapal selam kedua direncanakan selesai akhir 2018. Kapal selam ketiga yang dibangun di PT PAL juga direncanakan selesai akhir 2018. 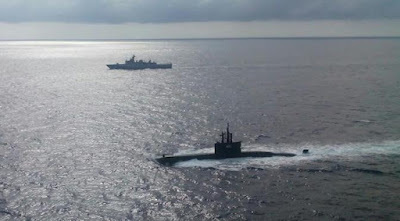 Surabaya - Kapal selam baru milik TNI AL yang dipesan dari Korea Selatan tiba di Surabaya. KRI Nagapasa 403 menambah kekuatan kapal selam yang dimiliki TNI AL. "Jumlah kapal selam yang kita punyai adalah 12 buah. Dilakukan secara bertahap. Diharapkan pemenuhan kebutuhan kapal selam akan menambah daya gempur kekuatan TNI AL," kata KASAL Laksamana TNI Ade Supandi di Dermaga Kapal Selam Koarmatim, Ujung, Surabaya, Senin (28/8/2017). 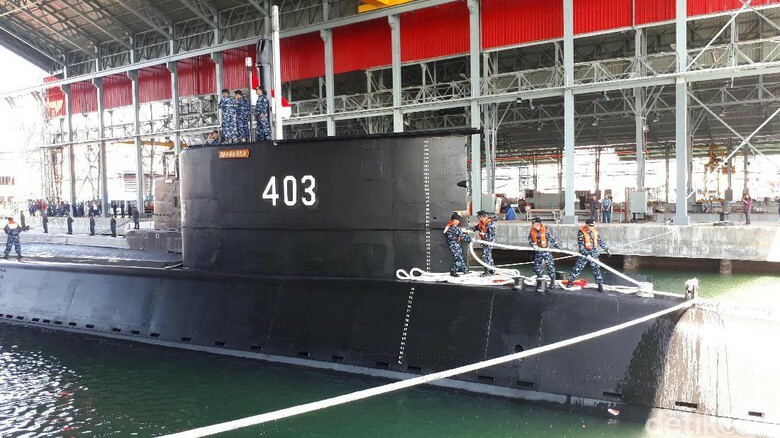 KRI Nagapasa 403 ini dikomandani oleh Letkol Laut (P) Harry Setiawan Alumni Akademi Angkatan Laut (AAL) Angkatan 43. Berangkat dari Korea menuju Indonesia sejak 12 Agustus 2017 bersama 40 Awak KRI. 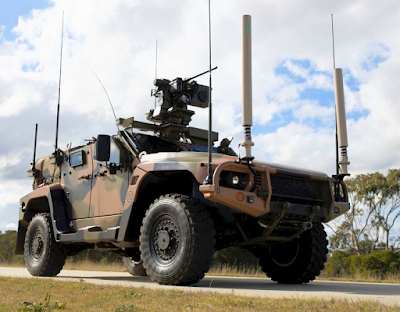 Selain itu juga dilengkapi senjata kelas berat buatan Whitehead Alenia Sistemi Subacquei (WASS) Italia, serta didukung dengan kemampuan lainnya seperti naval combat management system-nya menggunakan MSI-90U Mk 2, Kongsberg Defence Systems. Untuk navigasi, kapal selam ini menggunakan Sagem's Sigma 40XP inertial navigation system dan Integrating Navigation and Tactical Systems, dan OSI Maritime Systems ECPINS-W.
KRI Nagapasa 403 merupakan kapal selam kelas 209/1400 pertama dari tiga buah kapal selam sejenis yang dibangun di Korea Selatan dan Indonesia. "Ini merupakan kontribusi positif bagi kemajuan industri pertahanan terutama PT PAL, dalam rangka proses alih teknologi yang pada gilirannya akan dapat membangun kemandirian produksi dalam negeri dibidang teknologi pengembangan alutsista TNI," jelas KASAL.